Hesitation, it’s not something we’ll be seeing much from HTC this year, seeing that they’re aiming for a more aggressive approach this year. In comparison to last year, HTC isn’t wasting any time at all in bringing to market its line of prized smartphones. In fact, they were quick to launch the HTC One M8 before most of the competition, but in doing so, they’re fully aware that diversity is essential in giving consumers choice. Not surprisingly, that’s where the HTC One mini 2 comes to mind, as it launches in a relatively close time frame to HTC’s flagship. Having two options available, the question that remains is which of the two to side with. Okay, the difference between these two isn’t all that shocking. Quite simply, it’s a matter of size preference, so those who don’t like the larger size of HTC’s flagship will appreciate the more form-fitting nature of the HTC One mini 2. Employing the same design language, there isn’t any shortage with their premium constructions – so there’s no compromise to their beautiful, awe-inspiring looks. We definitely like the two equally, but as we’ve mentioned already, it ultimately boils down to size preference. Besides the obvious size disparity, the other notable differences are mostly cosmetic – like the placement of their 3.5mm headset jacks and power buttons. However, it should be noted that the HTC One mini 2 lacks an IR blaster – reducing its functionality over its esteemed sibling. At the same time, we have different cameras in two with them, which we’ll expand on more later. Aside from that, they both feature dual front-firing speakers with HTC BoomSound, microSD slots, nanoSIM slots, and 5-megapixel wide-angle front cameras. 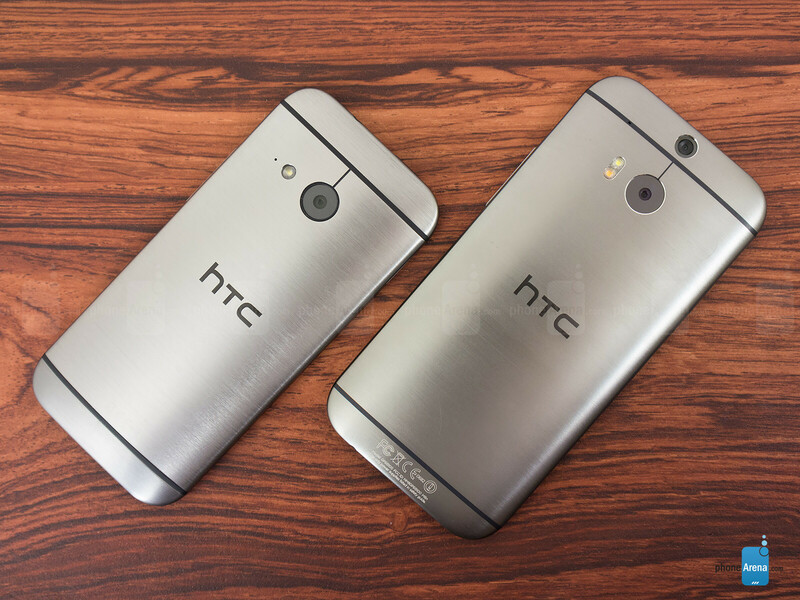 Bearing that “mini” name, the HTC One mini 2 packs along a smaller 4.5-inch 720p display – where as its beefier sized sibling bears a mightier 5-inch 1080p one. Naturally, the HTC One M8’s display is sharper and crisper looking, but details are still plentiful with the HTC One mini 2’s display. Interestingly enough, they employ Super-LCD 3 technology, so it’s not surprising to us that they deliver nearly the same potent brightness output – allowing us to make out their screens with the sun present. Looking at them straight on, colors have a punchy tone to them, but it seems as though the One M8’s display has the better viewing angles. Overall, they nearly match one another in many areas, but to our eyes, the One M8’s screen still proves to have the charm to catch our attention. So...M8 has the better camera but lacks detail. That's it? 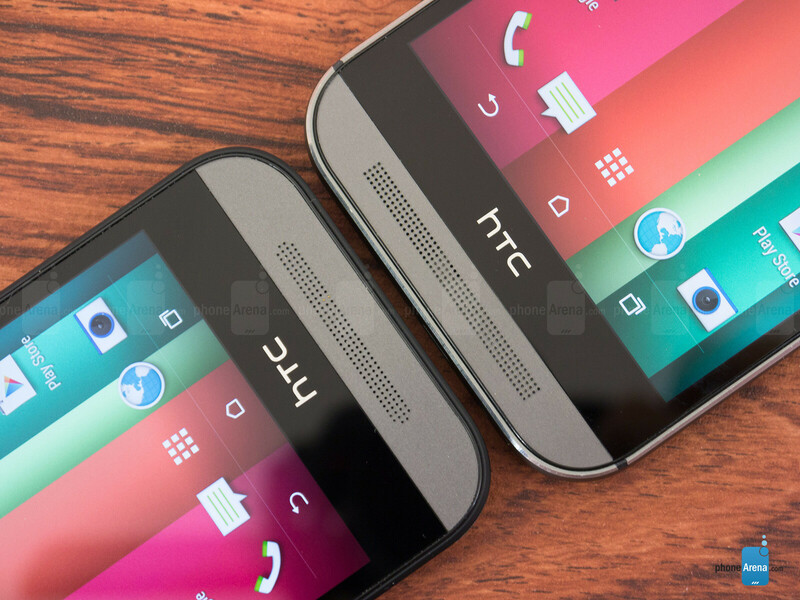 The mini's screen looks way too washed out compared to the original M8. It seems that only Sony have managed to build a true Mini of their flagship. Let's hope S5 mini and G3 mini will follow the Z1 Compact footsteps. 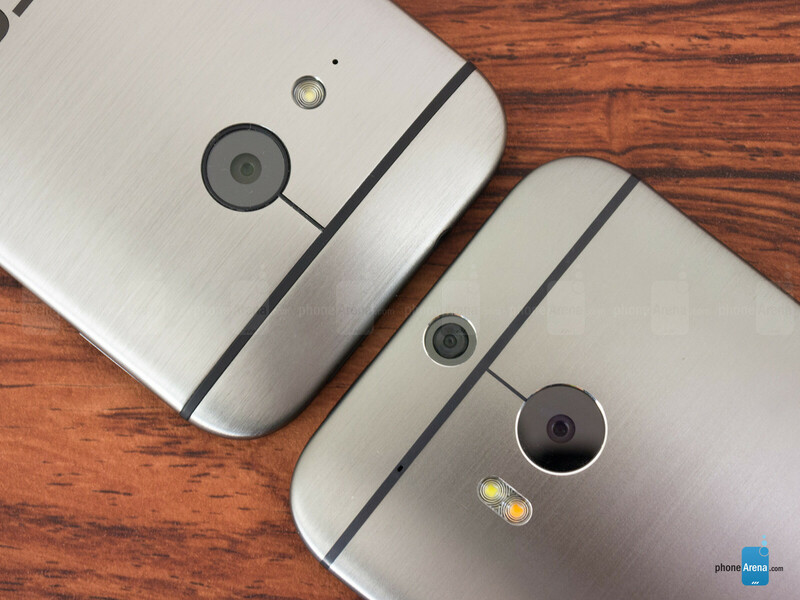 Comparing the One Mini 2 to the M7 would be more appropriate. The M7 is $100 on-contract, and it's likely the One Mini 2 will be as well, the're practically the same size, etc.